The music of Egypt before the 1930s is often cited as a Middle Eastern music “golden age,” with some of the greatest singers in the history of recording at top form, both in the classical sphere as well as the world of light classical and taqtuqa songs. I’ve written about women superstars such as Munira al-Mahdiyya before, but in the 1920s, some of the greatest male singers were also active, such as Sayyid Darwish with his renowned adwâr, and today’s focus, Abdel Latif El-Banna. These names may not mean much to western audiences unless they are reasonably familiar with traditional Middle Eastern music, but they were incredibly popular forces in music and stage, bridging a gap between classical forms and modern ones. El-Banna, born in 1884, was one of the most popular singers of the sentimental, light song form, filled with melismatic ahaat. Sometimes called “Bulbul Egypt” (the nightingale of Egypt), what’s interesting is that El-Banna is frequently described as having a high, feminine voice, and deliberately singing in the style of women Egyptian singers. His popularity seemed to last only about a decade. 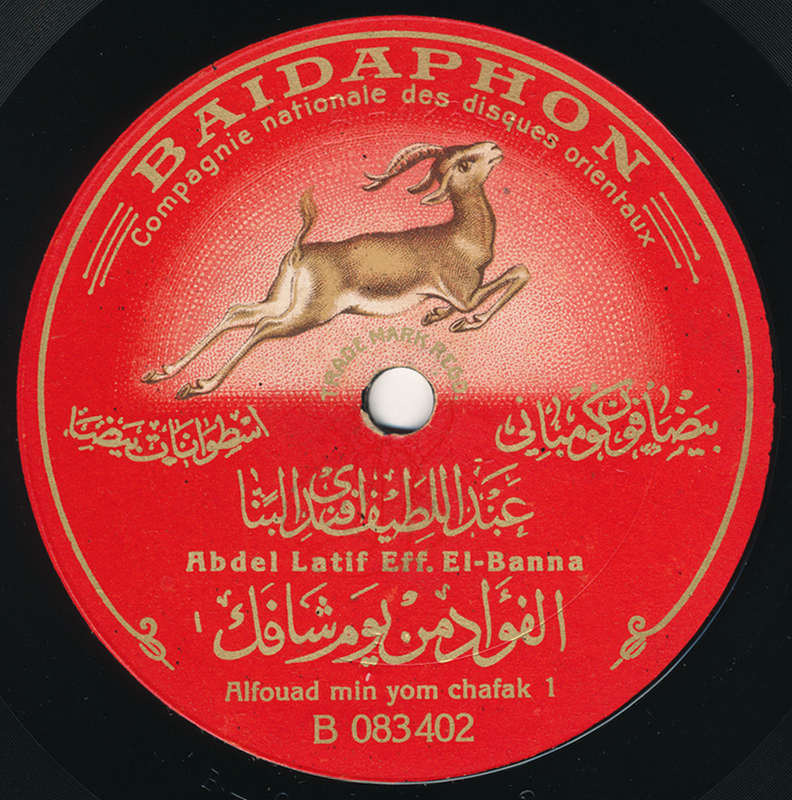 He began recording for the Baidaphon company – the independent label based in Lebanon – sometime in the early to mid-1920s it seems, and continued until the early 30s, before disappearing from records (as one source put it). His legacy was at least 60 issued records, possibly many more. He died in 1969. Thanks to Rheim Alkadhi for translation help! Thank You! Always appreciate your finds and hard work! As for al-Bannā, the correct date for his death is 12-12-1969. He only recorded for Baidaphon.